In an exclusive interaction with People Matters, Patrick Fei, Managing Director, BTS Asia Pacific, sheds light on the enabling role of digital and how organizations can successfully implement a digital transformation. The one thing that digital transformation has enabled strongly is transformation itself. Earlier, whenever an organization aimed to transform its culture to foster innovation or take a new strategic direction, the process was replete with challenges. But this has changed with the advent of digital technology. Today, digital technology can enable large-scale, organization-wide transformation much more successfully. Leading global strategy implementation firm BTS which focuses on “The People Side of Strategy” vouches for how digital has enabled to help its clients to build the culture, leadership capability, and organizational alignment required for their strategies to succeed. 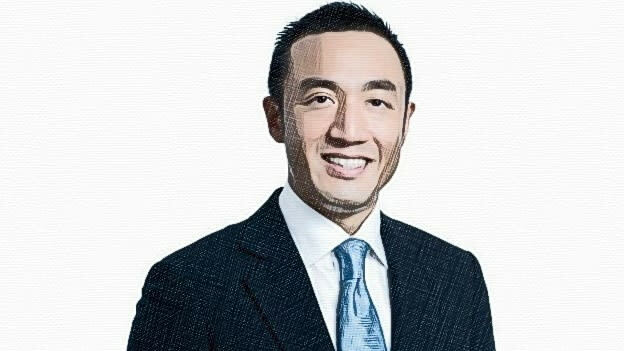 In an exclusive interaction with People Matters, Patrick Fei, Managing Director, BTS Asia Pacific, sheds light on the enabling role of digital and how organizations can successfully implement a digital transformation. You’ve had an extensive 18-year career at BTS, focused on ‘The People Side of Strategy – turning strategy into actions and results’. What are your key learnings from this journey? Yes, I was fortunate to join an organization with such strong potential early on in my career. It has been an extraordinary journey that started in the US and later brought me back to Asia. During my time at BTS, two things have especially stood out. My first key learning is that to really make the people side of strategy work, you need a comprehensive journey that supports each individual through the challenging process of mindset and behavioral change. This applies equally whether an organization is transforming the culture, implementing a new strategic direction or trying to build an environment that encourages innovation. In the past, implementing journeys was quite challenging as it was hard to follow-up individually at scale. Now, with the advent of digital tools, it is not only possible but proven to work. The level of documented change and results we are able to deliver for clients is unprecedented and growing every day. My second key learning is around the cooperation between HR and the business. Because many senior business executives have been disappointed in the past, they are skeptical about the impact that people development can have on the results they are trying to drive. People often talk about helping HR better understand the business but we also need to help business executives understand how much the HR function can support their agenda when things are done the right way. With the digital tools available today, it is possible to drive change in people’s mindsets and behaviors on a greater scale than ever before. Businesses around the world are undergoing a sea of changes through digital transformation. What are the key things that they should focus on to ensure a successful and sustainable transformation? Amazon is one of the most successful companies in the world when it comes to digital. Every year, it invests billions of dollars in technology across both existing and new business areas. Now, imagine that we keep Amazon’s technology infrastructure but replace all of the employees with people from traditional industries. How well do you think the company would do going forward? I think we all intuitively understand that without the people, no amount of technology can make the company successful. Yet, if you look at how companies address digital transformation, they tend to focus a disproportionate amount of their time on technology and business model, and very little on the people side of things. That is one of the biggest gaps for enabling a successful digital transformation and the major focus area for BTS when we work with our clients. How can organizations make sure that their employees are not left behind as they undergo digital transformation? There are two key things that business leaders should recognize at the start of any digital transformation effort. The first thing is that technology is readily accessible to anyone. This means the technology by itself provides little competitive advantage. So, making digital work for the company is a function of how cleverly it is used to amplify what makes the company special i.e. its competitive differentiation and how broadly it gets used in terms of company-wide adoption. Second, digital technology is special because it eliminates a number of technical and cost limitations to what is possible at a company. Things that were previously physically impossible, or financially impractical, are now available. So, because the many technical limitations are gone, the only limitations that remain are human limitations. Thus, a company that is smart about digital transformation will not leave its employees behind, but on the contrary, will know that the employees are the key to ensuring the transformation is a success. What are some of the capabilities that must be developed in the organization to enable a successful transition? Re-write the Rules of Customer Obsession: This is a shift from data and knowledge to empathy and insights. It means that leaders need to orient themselves and their organization towards developing deep insights about their users’ emotional and functional necessities, and not focus on the features and functionalities that users might like. This level of insight cannot be obtained by simply asking people what they want. Leaders also need to recognize that when people are segmented into categories like “Women between the ages 18-24”, intimacy is sacrificed for efficiency, which can harm a company’s digital innovation efforts over time. Think Divergently: This is a shift from linear thinking and having “the” answer to exploring multiple possible answers and multiple ways of framing a question. Disciplined Experimentation: This is a shift from planning to experimentation. It requires leaders to recognize that there is often a greater cost to planning and waiting than to learning and experimenting. Stimulating Idea Flow: This is a shift from seeking expertise to seeking diversity as an organizing principle in how teams are arranged and intellectual capital allocated. The principle behavior is that teams are directed to seek a diverse range of input from as many different people as possible when dealing with complex tasks. It means recognizing that diversity and inclusion aren’t merely good for racial and gender equity, it is a business imperative for dealing with conditions of complexity and ambiguity. Stay Digitally Literate: This is a shift from “leave it to your CIO” to understanding what technology can do for your business. It doesn’t mean that you need to become a data scientist. It means that in order to be a good executive, you need to be able to think strategically about how to use digital to create a desired value for the business. Most importantly, having digital literacy means an executive knows the right questions to ask and seeks the right assistance to leverage digital technology in the right ways. BTS works across Asia, what are your observations on culture and strategy alignment across countries? How are businesses across Asia changing on account of digital transformation? My observation is that many business executives know that culture is important but are not sure how to approach it. What we tell them is that culture and strategy are either mutually reinforcing or simultaneously defeating. While people may agree with this in principle, I rarely see a culture that has been specifically designed to support a clear business strategy. More often, the desired culture is a long list of idealistic behaviors and mindsets such as collaboration, agility and customer centricity without a clear linkage to the strategy. When properly done, culture should be the few, critical behaviors and mindsets without which the strategy will fail. From there, the next task is to use a comprehensive journey and the right digital tools to help the entire organization to adopt these behaviors and mindsets. In terms of the impact of digital transformation, the number one change is that the speed and scale at which things need to be done today is exponentially greater than before. Given this situation, it is even more important that culture change and strategy alignment are done in the right way. Otherwise, you will fall behind the competition at a faster rate than ever before. What are BTS’ plans for India? And which talent trends are you most excited about? The customers that BTS can add the greatest value to are those that are internationalizing, growing quickly and highly dependent on knowledge workers to succeed. India has many companies like this and we see a huge demand for BTS’ services. Our two main goals are to become the undisputed leader for helping companies make the people side of strategy work and enabling significant and measurable business results from investments in human capital. The first talent trend we are excited about is ‘Culture as a competitive differentiator’. In the past, culture was often viewed as a nice to have and something that should be driven by HR. Now, many executives realize that culture is a critical component of the company’s business success and that they must be the ones to drive it, with HR as a key supporting function. Thus, there is a tremendous opportunity to help them connect culture and strategy in a way that creates significant business impact. The second talent trend we are excited about is the rise of people analytics. Previously, it was hard to generate and analyze data when it came to people-related initiatives. Nowadays, it is much easier to collect meaningful data that can be used to show the impact that people-related initiatives are having, to enable gamification and thus increased application on the job, and to generate new insights that can improve impact.